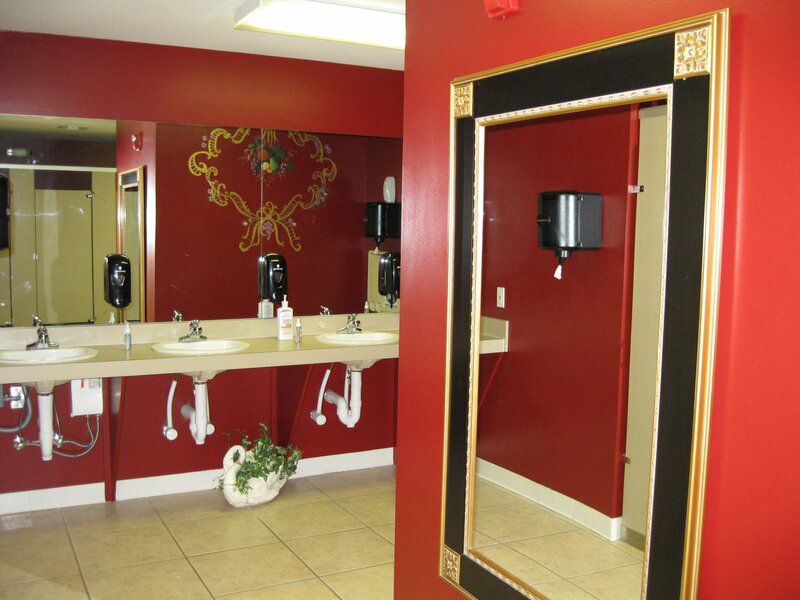 The NEATEST LOOKING Church Bathrooms! 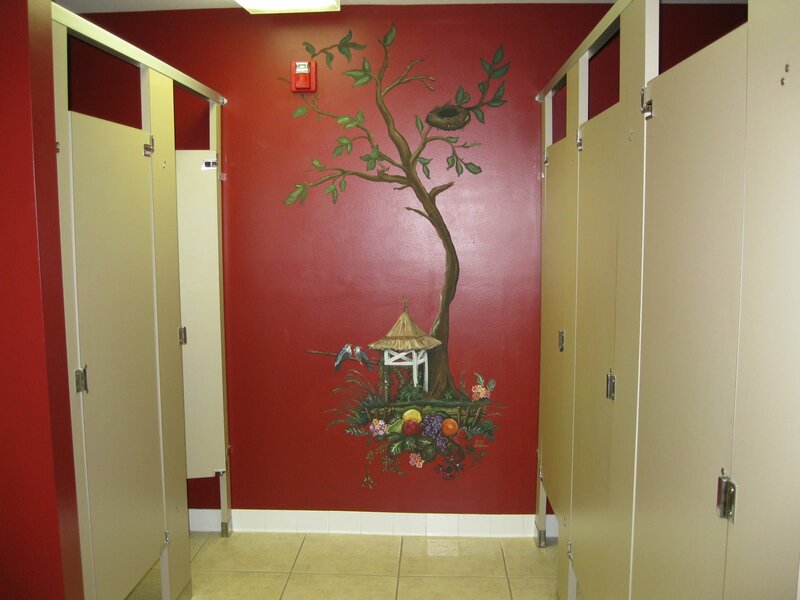 At a wedding, last Saturday, I walked into this women’s restroom at the church…and was completely blown away! Beautiful does not do it justice!!! Girls! 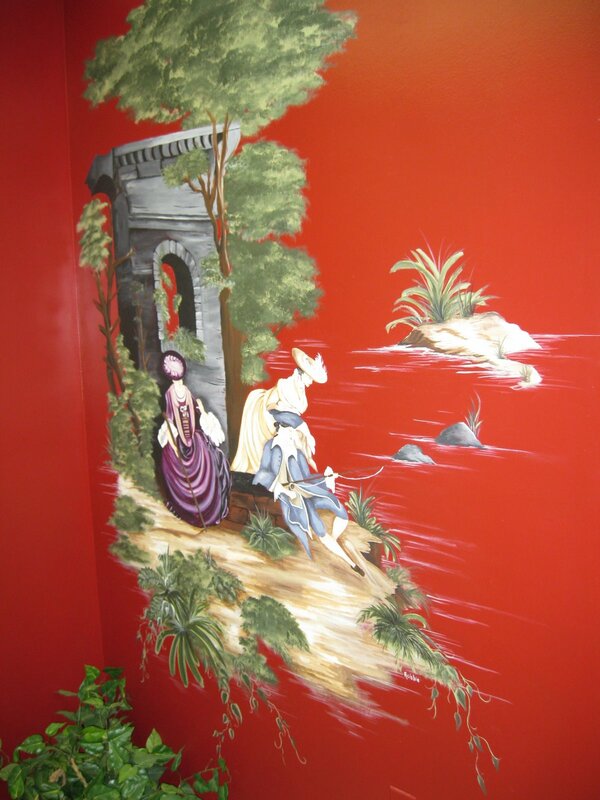 Check out the awesome painting! This was painted by one of the staff and a couple of students with Chi Alpha in Tallahassee, Florida! Of course…the men’s room was not quite as fancy—but it still was very impressive! AND I am just dorky enough to want to take a picture of the bathrooms! Go figure! This entry was posted on Thursday, March 12th, 2009 at 9:47 pm	and posted in Missions. You can follow any responses to this entry through the RSS 2.0 feed. Wow! cool bathrooms! Looks better than my apartment! haha! Both bathrooms like very nice. Wow! Nothing like a SPARKLING CLEAN BATHROOM! !The question is were you on assignment as part of your duties for “Tub Scrubbers International??”lol! !ONLY you! How Cool!! Thanks for sharing. It’s inspiring me to do some renovating!! Wow! 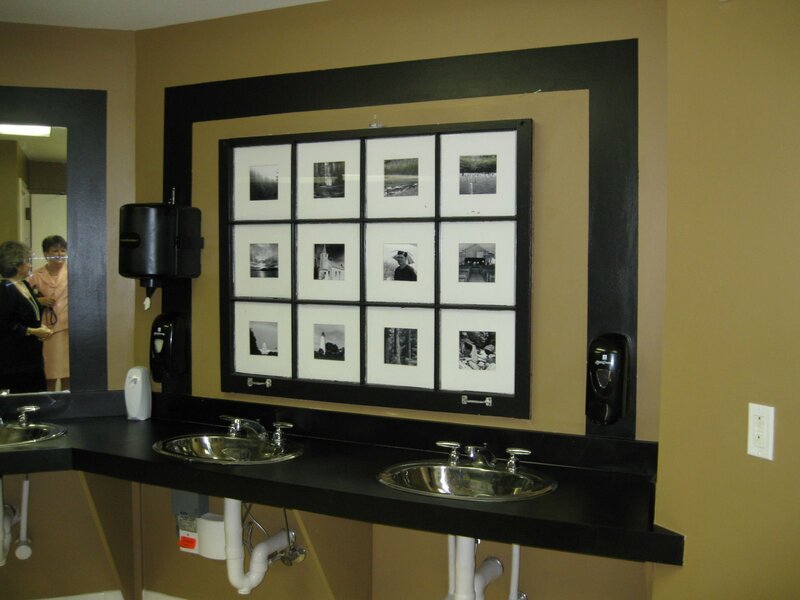 I LOVE pics of pretty bathrooms~~ It’s inspiring and makes me smile. And I love your “dorkiness” because you are uniquely wonderful! Makes you want to stay awhile doesn’t it? Hugs!